We were discussing food in the online game that I play the other day, and I mentioned that I wanted to try something Cuban, and it turns out one of the guys I play with is a first generation Cuban American, and he gave me his mum’s (mom’s…) recipe for Picadillo, which as far as I can tell is Cuban chilli-con-carne. It’s clearly a quick weeknight recipe for his mum, but as it’ new to me it’s taking me more time. 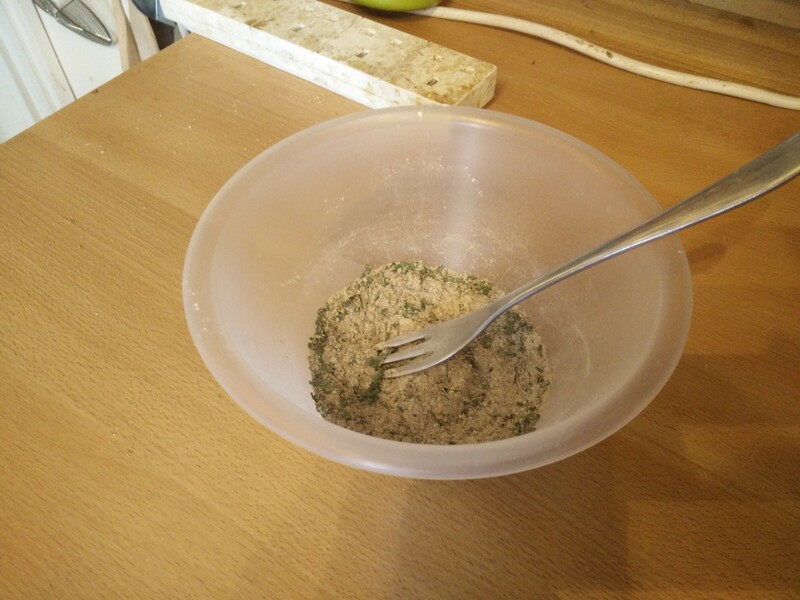 Firstly I can’t get the Sazon Completa spice mix from Sainsbury’s, and Amazon delivery of it is 2-3 weeks, so I had to make my own. Then lots of prep so I’m mise en place. I was going to do Cuban Imperial Rice to go with it, but Soph isn’t a fan of frozen mixed veg, so we’re doing rice and peas instead. 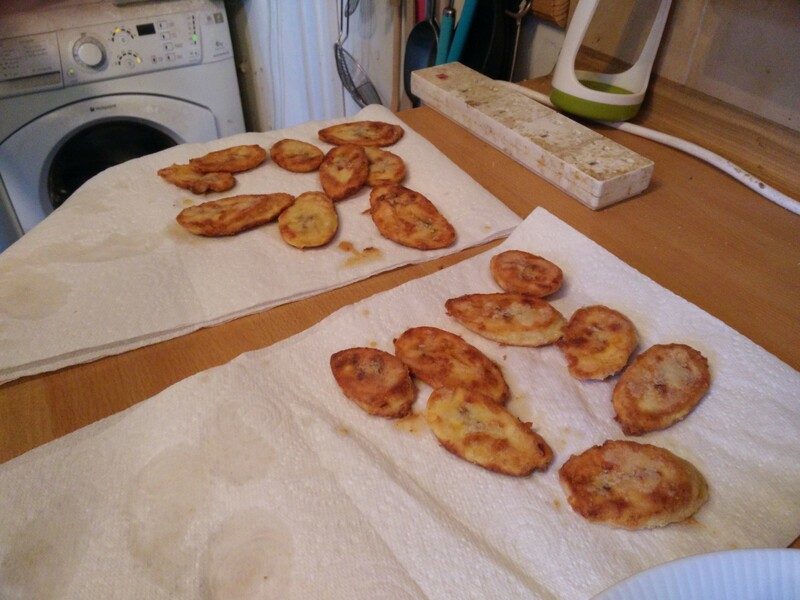 Plus I’m doing friend plantains, because plantains! 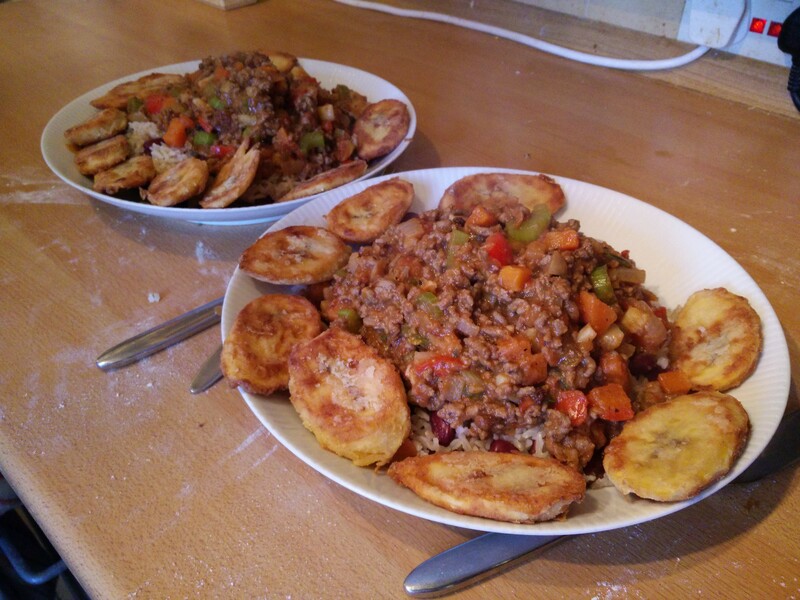 So yeah… basically a chilli with Cuban spices, with rice and peas. 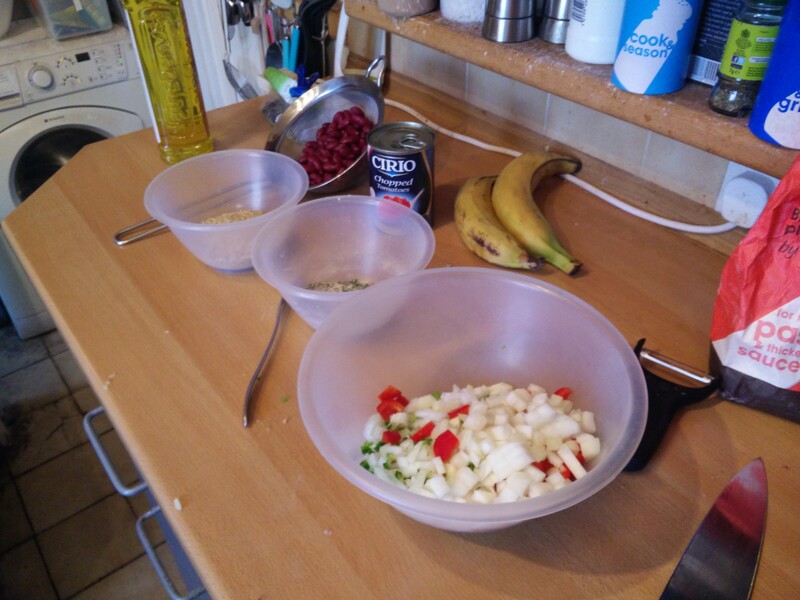 It’s OK – it needed hot sauce to perk it up… I think regular chilli is better, but adding rice and peas, and fried plantain, would work there too!